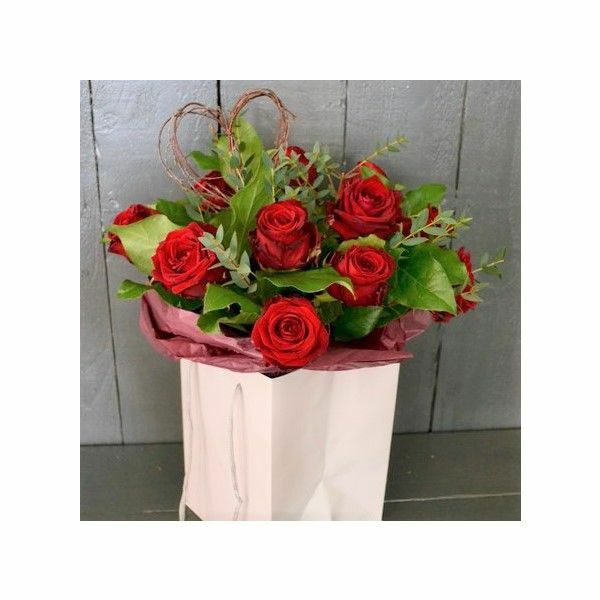 The finest and freshest dozen Naomi Red roses of the highest quality presented lovingly in luxurious giftwrapping. Complimented with the very best foliages. A favourite rose variety with a large head, a heavenly colour and offering the ultimate display. This wonderful bouquet adorns a rustic heart finish.